Steve Carter with Carter Kustoms has been in the business of show winning restoration, modifications, and fabrication over 25 years. Steve is not only the owner, but the primary operator behind complete detail ground up restoration and fabrication of frame, body, interior, engine, and paint. The result is a turn key dream machine for show or cruise nights. 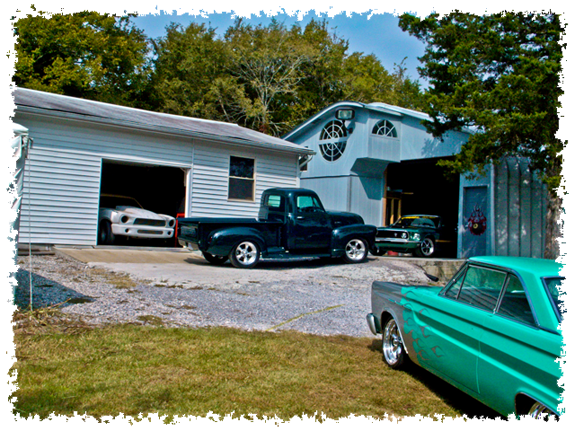 Carter Kustom’s classic hot rods has been featured in many publications and shows. Just a few include Southern Rodder, Hot Rod TV, Mothers Car Show, and Mustang & Fords. Just call for more details of what Carter Kustoms can do for you. Carter Kustoms operations give detail attention from start to finish including electronic photo documentation. Results go beyond the norm with elegant ghost flames, hand formed air cleaners, custom exhaust systems, and Kustom body and frame modification. Each classic hot rod becomes unique to its owner showing style and elegance in a show winning form. If you ever find yourself in middle Tennessee, please call for an appointment. Visit the unusual and off the beaten path of mainstream auto shops where show winning and eye catching classics, hot rods, and one of a kind hot rod fabrications are created. Hey, take a look now at some of the results and work in progress. Copyright © 1999 – 2019 Carter Kustom ™ All Rights Reserved.